We want to be as transparent with you as possible. WWF and First Artist Foundation have chosen their 5 selected designs, which are announced under the ‘Submissions’ tab at this time. Please note that 2 of the 5 selected designs fit the brief in every way, except they were not submitted using the provided template. Ultimately, we did not feel it was fair to deny these artists their selection, based on a simple technicality that will not affect production. Please understand that this decision was not made with disregard to those who did ensure to submit with the provided template. We recognize and appreciate all of your efforts to create compelling work for this campaign. We will soon be revealing a platform-wide update on our internal policies around the strictness of Creative Invite brief guidelines, to ensure we are being as fair as possible to both our hosts and to you-our creative community- when it comes to selecting work. Congratulations to El Harry, Lombana Vargas, Jana Misheva, Danil Shevtsoz and Mark Walters on creating designs which resonated with WWF in this Creative Invite, and ultimately won them over! Climate change poses a fundamental threat to the places, species and communities that World Wildlife Fund (WWF) works to protect. Around the globe, we already feel the effects of climate change; our communities and Earth’s wildlife and ecosystems are being forever changed. To kick off Earth Hour, artists from around the world are invited to create an official T-shirt design inspired by mitigating climate change through a renewable energy future. WWF and First Artist Foundation are looking for innovative and thought-provoking designs that help individuals worldwide realize the importance of a world powered by renewable energy. The campaign will begin during the week of Earth Hour, which is on March 25, 2017 at 8:30pm your local time. Earth Hour is the world’s largest environmental movement for the planet that involves millions of people, along with countries, cities and businesses worldwide. Five pieces of artwork will be chosen, and the Selected Artists will receive $2,000 for each selected design and the opportunity to potentially have their design produced by WWF. Download the T-shirt template which must be used to present your design. You have the option to use the front, back or sleeve of the t-shirt. However, because the T-shirts are printed on a flat surface, they need to be on a single panel, cannot wrap around the sides or print over any seams. Designs must be submitted in JPEG or PNG format, with a maximum 10MB file size. However, the Selected Artists will be asked to provide their artwork in an EPS format. All artwork must be original (meaning not using third party pre-existing copyright and/or stock materials). The T-shirt will be printed using 4-color process printing (CMYK). Anything extremely-detailed (like people’s faces) generally will not print well. Take inspiration from the world around you and the impact climate change has had on it. You can also explore how renewable energy is a part of the future that will slow down climate change. Please check out these images for inspiration. 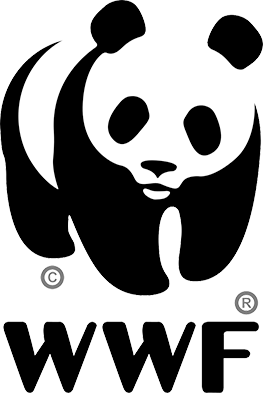 WWF started Earth Hour in 2007 to unite the world and make a stand against climate change. During Earth Hour, millions of people, businesses, and landmarks around the globe set aside an hour to host events, switch off their lights, and get loud for climate change action. You can join in by shutting off your lights, or by performing on Facebook Live using #EarthHour to give more exposure to the growing concerns of climate change! WWF is asking musicians to share their love for the planet and resolve to fight climate change through their music. WWF is inviting artists to broadcast live sets to their fans around the world during Earth Hour 2017. At 8:30 p.m. your local time on Saturday, March 25, through Facebook Live or a live channel of your choice, turn up the tunes using #EarthHourLive. All day, WWF will be looking to share and amplify some of the best musical sets we see. 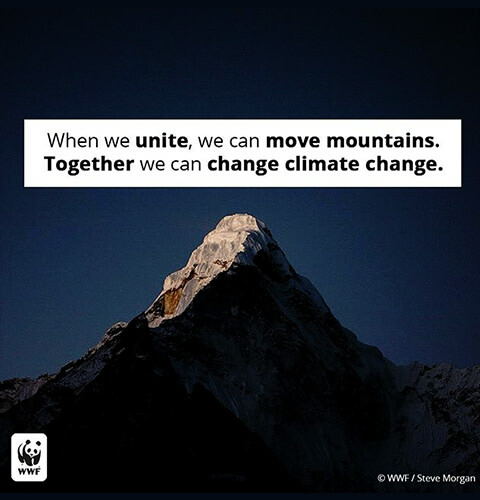 As the world turns up the dark, WWF is hoping that you will turn up the volume on climate action. The First Artist Foundation recognizes a need within the industry to better equip artists with the tools they need to be successful in their creative business. Their mission is empowering emerging artists across all creative industries by providing opportunities, advocacy, and resources that support the development of their careers so they may achieve both creative and financial success as an artist. Artists should retain their original artwork files but designs must be submitted in JPEG or PNG, max. size 10MB using the provided template. The Selected Artists will be asked to provide their artwork in an EPS format. Please read the "Things to Consider" section carefully. Artists that are not selected will retain ownership of their work. However, by submitting you hereby grant to World Wildlife Fund a worldwide, non-exclusive, royalty-free license for three months to use your submitted work across their various online and social marketing platforms. All artists will be credited accordingly. By submitting your design, and as consideration for the incentives set forth above, you agree that, in the event you are chosen as one of the five Selected Artists, all right, title and ownership interest in your design is immediately assigned to WWF. The Selected Artists will be required to sign a Copyright Assignment Form and shall not be eligible for any of the incentives until such time as a fully executed form has been received by Talenthouse. The selected submissions may be modified to accommodate production requirements. Artists must join Talenthouse using an active email address and agree to all applicable site Terms and Conditions. World Wildlife Fund (WWF) and the First Artist Foundation will select from all qualified submissions. A qualified submission is one which meets all the Terms & Conditions, Guidelines and Official Rules.